When bakeries across the globe are facing problems for which few have closed their shop few of them have sold their business .gone for reducing numbers and staff Greggs bakery chain have return profits after profit . Greggs performance under these circumstances have been remarkable . 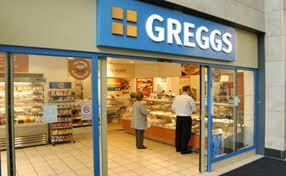 Greggs bakery boast to have more retail stores than McDonald's in UK . It has around 1400 outlet in UK and are planning to add 600 more , that is enough proof of their confidence . While many retailers have suffered in the economic downturn, pre-tax profits at Greggs, announced yesterday, have risen by 12.3% for the first half of the year, to £18.6m, although the rise in wheat prices may make the next half of the year more challenging. But the company has, in its quiet way, become a bit of a British institution. It serves 5 million customers a week, sells nearly 140m sausage rolls a year and has shifted a huge 4.5m breakfast rolls since launching the range in February. "There are several reasons why Greggs has done so well," says Malcolm Pinkerton, senior analyst with retail research company Verdict. "They have shifted to fresh food and their prices are low. They focus heavily on lunchtime 'meal deals' [a sandwich, drink and packet of crisps for £2.99, 2m of which have been sold in the first half of the year], and getting morning trade. Promoting freshly baked bread and handmade sandwiches means their quality perception is on the rise." It attracts a wide range of people, "from professionals on a budget who might be switching down from Pret a Manger or EAT", says Pinkerton, to manual workers getting a morning "mansnack" – as steak bakes and its like are known – to older people and young families. Pinkerton says that among its core customer base, "people feel affection for the brand. Their sausage rolls are famous, for example."